The 2017 line of Buick Sedans bring grace, style, and performance to Flint and Grand Blanc drivers who seek the elegance of a luxury car, without the high price tag. At Patsy Lou Buick GMC, we’re proud to offer three stylish Buick Sedans that promise that, and so much more. Buick Sedans have offered American buyers access to affordable luxury for more than a century. In addition, Buick engineers have created some of the most memorable designs of the past 100 years, including the sleek Roadmaster and the audacious “B” touring cars produced Flint, Michigan. In the 1950s, Buick earned a reputation as an automotive leader dedicated to complete customer satisfaction; something that is evident today in Buick’s continued commitment to award-winning customer satisfaction. 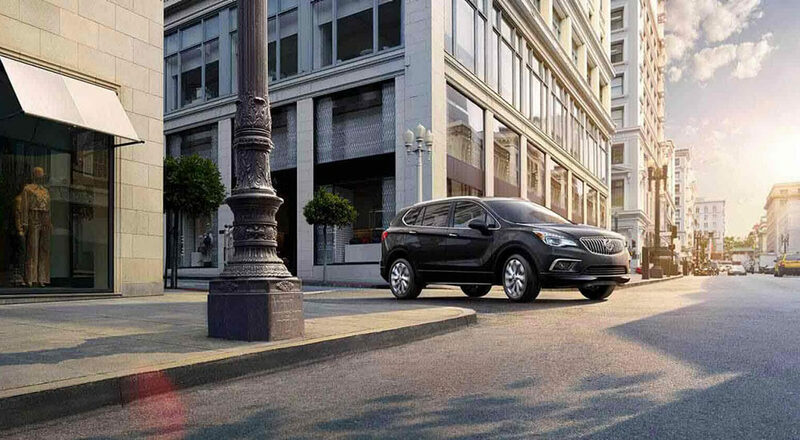 As Buick rolls into the 21st Century, it’s clear that as other automakers struggle to find their place, the soul of Buick will continue to shine. Performance: The Verano is powered by a 2.4L 4-cylinder engine and 6-speed automatic transmission that generates 180 hp and 171 lb.-ft. of torque while delivering up to 31 mpg/highway fuel economy according to the EPA. QuietTuning: The plush interior features Buick’s exclusive QuietTuning technology to create a peaceful, relaxing space and the ideal environment to enjoy the available Bose premium audio system. IntelliLink: The optional Buick IntelliLink system connects drivers with amenities like music streaming, hands-free calling, GPS, satellite radio, voice recognition and more via the 7-inch color touchscreen interface. Luxury Appointments – Creature comforts like power-adjustable heated seats, automatic climate control, heated multifunction steering wheel, auto-dimming rearview mirror, remote vehicle starter, and others allow drivers to enjoy just the right level of luxury. Advanced Safety: The Verano is loaded with advanced features that include ten standard airbags, remote entry, and StabiliTrak stability control. Drivers can also add advanced features like a Rear Vision camera, Rear Park Assist, Side Blind Zone Alert, Lane Departure Warning, and more. OnStar: In addition to providing drivers with concierge and roadside assistance service, OnStar provides access to 4G LTE Wi-Fi and Automatic Crash Response, which can notify emergency personnel if the vehicle is involved in a collision. Performance: Drivers can choose between the 2.4L DOHC 4-cylinder engine for 182-hp and 172 lb.-ft. of torque or the 2.0L turbocharged 4-cylinder engine capable of 259 hp and 195 lb.-ft. of torque. 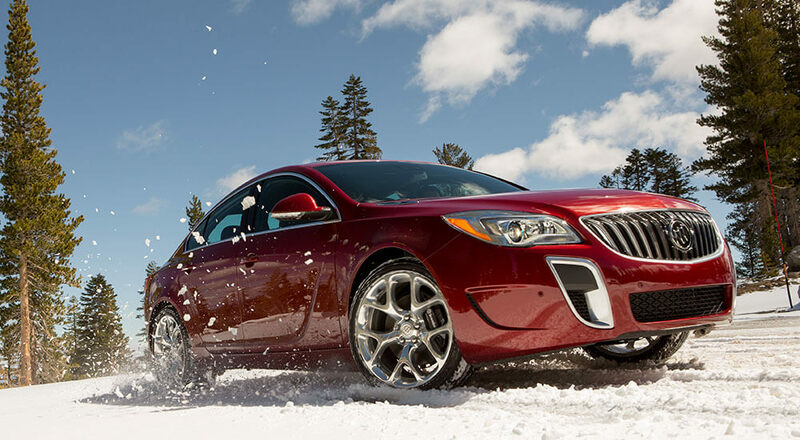 The Regal delivers fuel economy of up to 31 mpg/highway according to EPA testing and can be equipped with either the standard FWD or Buick’s dynamic AWD. Comfort and Convenience: Power heated leather-appointed front seats with adjustable headrests make it easy for drivers to make the Regal fit them. Drivers also have access to options like remote entry and remote vehicle start. Infotainment: The Buick IntelliLink system provides access to SiriusXM satellite radio, apps, navigation, Bose Audio, hands-free calling, music streaming, and much more. Rearview Camera: A convenient rearview camera system provides a clear view of the area behind the vehicle and can be complemented with advanced systems like Rear Parking Assist and Rear Cross-traffic alert. Driver Assist: Safety conscious drivers can also add additional advanced features like Forward Collision Alert, Front Automatic Braking, a following distance indicator, and more. Powertrain: The Buick LaCrosse is powered by the potent 3.6L direct-injected gasoline-powered V6 engine and 6-speed automatic transmission capable of 310-hp and 282 lb.-ft. of torque. Acoustic Glass: The QuietTuning interior is helped by the innovative addition of acoustic laminated glass for a serene interior that allows drivers to relax after a hard day, or enjoy the premium Bose 11-speaker audio system. Driver Comfort – Heated power seats allow drivers to relax no matter what the temperature outside while conveniences like pushbutton start at head-up display make traveling effortless. CarPlay – The Buick IntelliLink system and Apple CarPlay provides drivers with access to apps, calling, music, maps and more, with easy control through the in-dash display or the multifunction steering wheel. Impressive Safety: In addition to features available in prior models, the LaCrosse also offers Lane Change Alert, HID headlamps, and much more. To learn more about the 2017 Buick Sedans available to Flint and Grand Blanc, MI drivers, contact Patsy Lou Buick GMC at (810) 732-7500 or stop by our showroom at G-5111 Corunna Road in Flint, MI.